Directed by Peter Berg, this one-minute ad tells the emotional story of Los Angeles Chargers Head Coach Anthony Lynn, who was the victim of a near-fatal car accident in 2005. In the ad, Lynn is thanking first responders for the work that they do, discussing how a first responder saved his own life. He is eventually introduced to the first responder who was first on the scene of his own accident, a woman who he had never been able to thank prior to that moment. With this moving advertisement, Verizon was able to share a powerful story in just a short amount of time. 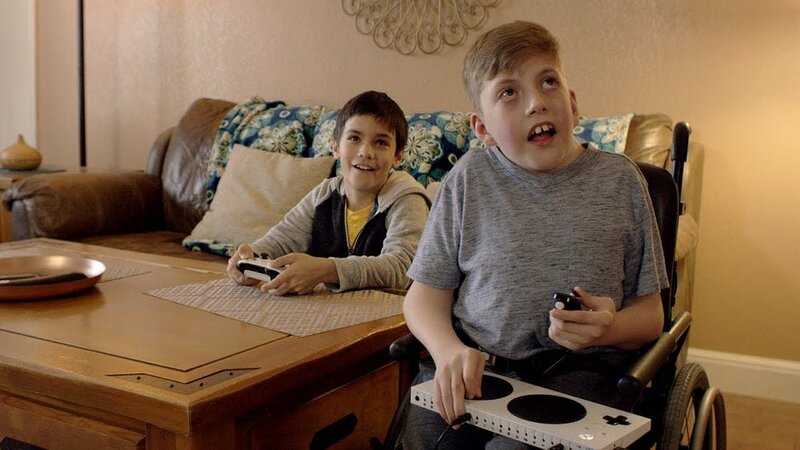 This ad from Microsoft features the company’s new rollout of controllers for the XBOX One designed for children with disabilities. The product is shown through the lens of a disabled child who uses the controller to bond with friends through video games. With this commercial, Microsoft showcases an amazing product while sharing an incredible message of developing technology to promote inclusion. On a much lighter note, Bubly’s commercial featuring Michael Bublé playing an extremely egotistical version of himself was incredible. The 30-second spot pints out simple but hilarious comical fact that Bubly and Bublé sound very similar. Watching Bublé crossing out “y” and adding “é” on as many bottles was a great visual for audiences everywhere. Another ad from Peter Berg, this commercial is meant to commemorate the NFL’s upcoming centennial season. Featuring some the NFL’s biggest stars both past and present, the two-minute commercial features a banquet dinner that turns into a full out football game. Filled with incredible cameos, one of the best comes at the end when 2014 YouTube sensation Sam Gordon runs past San Francisco 49ers cornerback. The ad is fun and entertaining, and celebrates the NFL’s past, present, and possibly its future. To see all of the commercials from Super Bowl XLIII (courtesy of Thrillist), click here.